Fallback language function is designed to show the content in language X if language Y if not available. It is better to show the content in a English than nothing. At least SAP hybris designers thought so. This mechanism is attribute-level: it works for attributes that don’t have a localization for the current locale the additional language versions are used. It is not working for whole items. For example, if your product has only two fully completed language versions and three partially completed, you can’t redirect partially completed language versions to a completed ones, it will work for each product attribute separately. 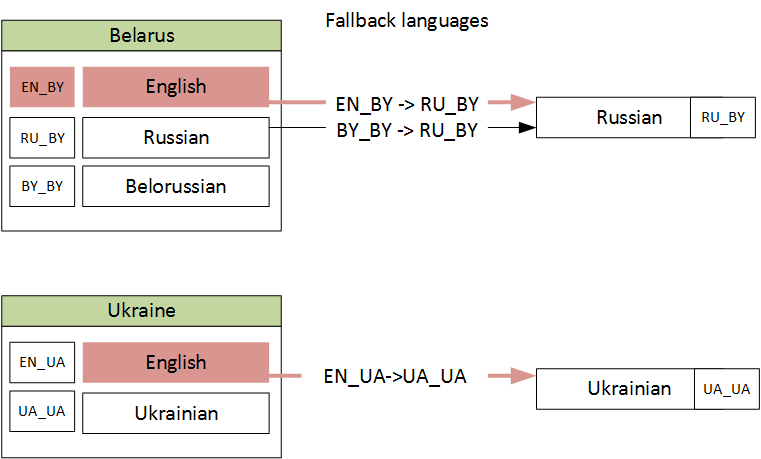 If there is no explicit localization for a certain locale, the SAP Hybris Commerce relies on locales that are defined as fallback locales for that locale. The Java VM has been started with en as system locale. in the end, being the overall default). 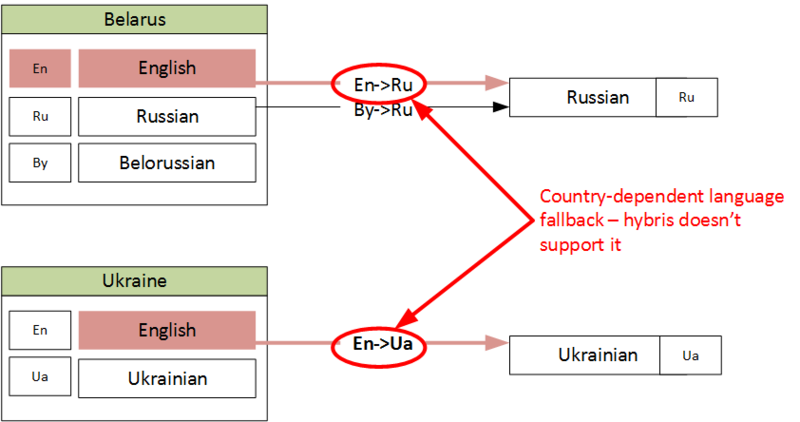 For some configurations, the fallback mechanism won’t work at all. You will have a key on your webpage instead of actual value. For example, if you add a new key, and you don’t create a proper record for this key in the property files, the system will show a key itself instead of empty value. 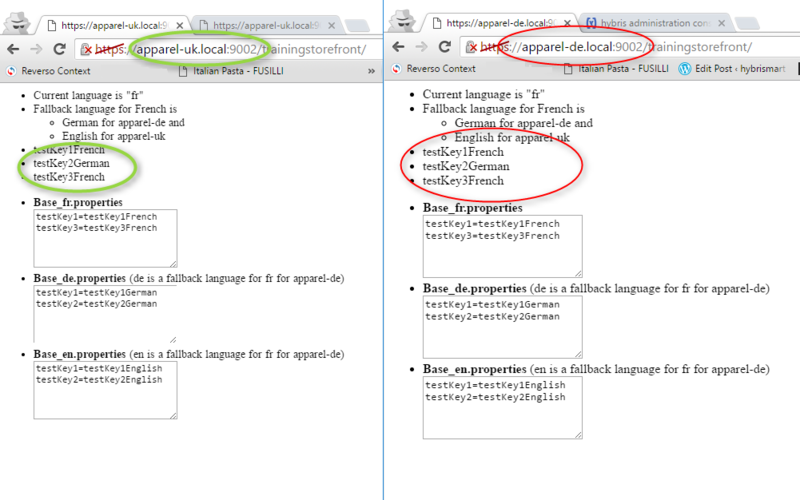 you want to show a message in a default language of website X if it happens. It solves the second challenging issue. However, if you need to group languages over countries and process them as a whole, you need to extend a language object by adding “language”. It can be a bit confusing, because the Language item is not a language in this solution, it is closer to a locale, but we can’t rename it. As for the first challenge, you need to do some coding to overcome the problem. Fortunately, hybris uses its own implementation of Resource Bundle Message Source and using Spring we can extend it. At the moment both screenshot are identical.